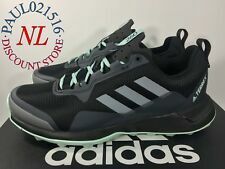 Adidas Womens Terrex CMTK Walking Hiking Trail Shoes~ All Sizes ! ! SAMBAROSE SHOES. These sneakers rework the Samba's classic soccer silhouette as a stylish platform shoe. The leather upper is stacked on top of a raised gum rubber outsole to add height. COLOR: Ftwr White / Core Black / Gum. NEW Adidas Women's Terrex CMTK Athletic Walking Shoes! Color: Mint Green. Wore A Few Times. Comfy. Nice Foam Cushion Soles. Good For Running & Walking. Great For Standing For Long Time Periods. Adidas Shoes Women Size 7.5. Good Condition. Condition is Pre-owned. Shipped with USPS Priority Mail. Although it says size US 7.5, this pair runs big. 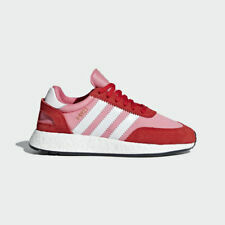 Womens Adidas Pink Shoes Athletic Sneakers Suede 7 Classic. Suede material, white bottoms. Condition is Pre-owned. Only worn a few times, nothing wrong with them. NEW Adidas Outdoor Ladies Terrex CMTK Walking Shoe, Black SELECT WOMENS SIZE. Condition is New with box. Shipped with USPS Priority Mail. Adidas Outdoor Women's Terrex Voyager CW CP W Walking Shoes ~ Various Sizes ! ! COLOR: Grey. ~ GREAT CONDITION. SUPER COMFORTABLE ~. Adidas Climacool 7.5 shoes. Neons, lace. Great used condition! We are human so mistakes can be made. Keep in mind that colors may look different on each computer. Make one, what can it hurt?. We WILL make it right. Adidas Original Superstar Bold CG2886 Women's Sneakers Shoes size 10 US. Shipped with USPS Priority Mail. Woman Adidas 7 Used. Condition is Pre-owned. Shipped with USPS Priority Mail. Adidas Women's/Ladies Terrex CMTK Outdoor Walking Shoes - Select Size - NWT. Condition is New with box. Shipped with USPS Priority Mail. Adidas Womens Size 8 CMTK Outdoor Walking Shoes Brand New With Box. Condition is New with box. Shipped with USPS Priority Mail. Please pay within 48 hrs of auction end and I will ship in 2 business days. Thanks! Women's Adidas Sambarose Platform Shoes Size 10.5 Pink Brand New In Box with tags! Awesome shoes! See pictures. Good Luck! adidas Samoa Women’s Fashion Sneakers White W/ Metallic Silver Stripes Size 6. Shipped with USPS Priority Mail. Lace Up Closure. Does not diminish the overall appearance of the item.Very Good - Well-maintained. Shows minor signs of wear that are consistent with light use.Good - Shows signs of regular use. Item shows visible wear.Fair - Heavily used.